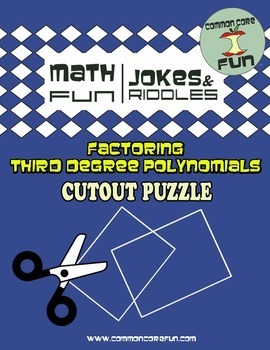 Students are given a puzzle to solve by factoring third degree polynomials. 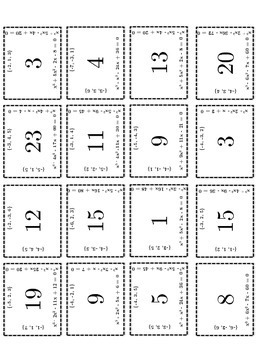 The puzzle includes 12 problems to factor by grouping and 12 to factor by guess and test or polynomial long division. Students cut the pieces out and then match up each equation with its solution set. The puzzle fits together and then spells out "Math Is Wicked Cool" when you replace each larger number with its corresponding letter in the alphabet. 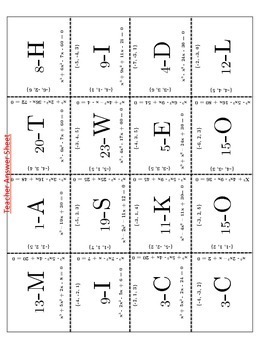 This activity requires NO PREP, answer sheets included. See all my products in my Total FUNsheet Package and buy and save!